Big data has the potential to deliver huge social impact while generating public savings, writes Anna Bowden, senior associate at Social Outcomes. As Viktor Mayer-Schonberger and Kenneth Cukier explain in Big Data: A Revolution That Will Transform How We Live, Work, and Think, it’s very difficult for us to comprehend the scale of digital data that has amassed over years of emails, tweeting, web browsing, geospatial mapping, credit card purchases, and much more. If you were to store the information on CD disks, and stack them up, you’d create five separate piles reaching the moon. Such volumes are incomprehensible to most of us. It’s estimated that today, there’s more than six petabytes of data connected just to our mobile networks alone. A petabyte is 1015 bytes of data, or one million gigabytes. Every millisecond, data from the “internet of things” is being recorded on the temperature of our room, groceries we purchase, websites we access, where our mouse hovers on a webpage, the movement of millions of vehicles and much more. At a hospital in Washington DC, Microsoft analysed several years of anonymous data on patients – their treatments, diagnosis, age etc. The analysts were trying to understand what might reduce the rate at which patients are regularly re-admitted to hospital, one of the most costly factors for hospitals.The platform spotted something in the analysis that kept coming up over and again – whether the patient ticked the box next to “feeling depressed” on their discharge form. In other words, could it be that mental health programs, which are relatively inexpensive to run, might potentially save billions in chronic health readmissions? e-Adept was invented by Swedish firm Astando, and utilises a detailed digital map of Stockholm to help blind people navigate the city. Through GPS-enabled technology, individuals listen to headphones that call out obstacles and safe pathways to them as they walk. In 2009, on the back of the global recession, the Global Impact Vulnerability Alert System, later renamed Global Pulse, was launched to create early warnings of social and economic crises, by tapping into unique sources of real-time data. The platform has now expanded to use high-level data analytics to monitor everything from food insecurity, to migration flows and flood risk. Professor Richard Berk at the University of Pennsylvania specialises in criminology and statistics. He claims that his data analysis can predict whether a prisoner released on parole will be involved in a murder (either killed, or a killing) with a probability of at least 75 per cent, through tracking detailed data on their demographics, history of offence and more. As correctional facilities across the world struggle with the cost of recidivism and swelling numbers of prisoners, the potential for these sorts of analysis, and their cost-savings, are significant. As these examples show, what’s exciting about big data is that it allows us to move from analysing past events, to predicting future ones. The social impact and public cost savings of such an approach, are immense. Going beyond social service provision, there’s also enormous potential for each of us to individually feed information into data platforms, and in turn promote social and environmental good for ourselves, and our communities. For instance, fitness wearable company, FitBit are counting every step taken by millions of consumers across the globe. The company, which represents over 50 per cent of the wearables market, is a classic “nudge” to encourage healthier living practices and weight management. Organisations like UNICEF, are now exploring how to partner with leaders in the wearable market, to track and prevent health crises for young children in developing countries, keeping a “pulse” on issues from nutrition rates, to the risk of viral or bacterial infections. As the UNICEF example shows, access to such technology is not just the domain of the wealthy. While some technology is undoubtedly far from universal, the materials required to produce smart phones, hardware and software, are actually broadly available, and cheap. Over 80 per cent of mobile broadband users are in developing countries. On the other hand, the ability to analyse data is still the domain of highly skilled, specialist technicians, and is more expensive. Most companies and organisations don’t yet have the resources or skills for in-house analytics. Here, I wonder if we might consider borrowing one of the key components of social impact bonds – paying for services to be delivered, through the cost savings they potentially accrue. Let’s take managing chronic health conditions as an example. Big data can identify with strong accuracy what behaviours are correlated with an individual developing a chronic health condition. For example, we might be concerned about people who purchase large amounts of sugary snacks, and be at a higher risk of diabetes. Potentially, government and social service providers could utilise this data to target those individuals with awareness campaigns, or discounts for healthy snack alternatives. The potential cost savings for such preventative health programs are in the billions of dollars. So a portion of the cost savings could be used to pay for the data analysis. Under the truest form of social impact bond, the data analytics company would only be paid if the prevalence of diabetes dropped in a target cohort. A selection of forward-thinking social innovators are starting to think about the potential value of big data to tackle our complex societal challenges. In mid-2014, Kevin Desouza and Kendra Smith published Big Data for Social Innovation in the Stanford Social Innovation Review. The authors rightly argued that for-purpose organisations were significantly lagging corporate and government sectors in using data techniques for impact and service delivery, and that was a severely missed opportunity. It was one of the most popular articles of the year. New York headquartered, DataKind partners data scientists and engineers with mission-driven organisations so they can unleash the potential of high-level data analytics. Palantir, initially backed by the CIA, and one of the more intriguing companies working in big data analytics, merges information from some of the most obscure sources, including videos, photos, geospatial sources, tweets, satellite imagery and newspaper articles, to monitor crisis situations such as epidemics, typhoons and conflict environments. Aid and relief organisations can then use detailed maps and tracking systems to determine where need is greatest, and how to navigate to those areas, avoiding obstructed roads, or landmines. The technology is so advanced that Palantir can also predict environmental, financial or biological crises. Translators and intermediaries: Big data is a topic that few of us really understand. Our team have extensively researched the topic, and we’re still on a tough learning curve. Likewise, for the most part, the reason governments and social service providers don’t use big data applications is because they don’t understand them. We need translators who can speak the languages “technical” and “social outcomes”. We need people to explain this sector in ways that are accessible, and show the potential and pitfalls of engaging in data analysis. We also need those people, who understand the potential for social outcomes, to translate to the engineers, who are excellent at providing answers to complex questions, but less comfortable knowing what the question actually is. Open data sources: All levels of government have amassed mountains of valuable data. At the moment, this data is for the most part latent and unused, but extremely valuable for evidence-driven solutions to social problems. The emerging “open government data” initiative advocates for this data to be open to the private and Not for Profit sectors, so they may analyse and extract value from it, to create stronger solutions to our societal challenges that are grounded in real-life information. Innovative partnerships between data analysts and large sources of data may work on a licensing agreement, so for instance, analysts “borrow” the data from government sources, returning it with useful, value-added insights. Government regulation: There are of course, several serious concerns around the use of high-level data analytics. Two of the most critical are a) privacy, and the necessity of protecting the identities and information of billions of anonymous individuals, and b) power, and the need to ensure data access is not ill exploited for political or commercial ends. Protecting citizens from these two p’s will require strict and coherent policy and regulations from government. The data analytics sector is moving extremely quickly, and so the development of corporate responsibility mandates such as transparency and reporting, will also likely need to be rolled out rapidly. 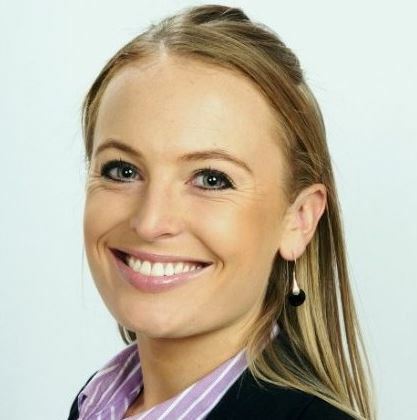 About the author: Anna Bowden is a senior associate at Social Outcomes, and has more than 10 years experience in developing impact investing and shared value programs. Social Outcomes is a team of experienced practitioners in the design and implementation of social and environmental impact initiatives. Prior to joining Social Outcomes, Bowden worked with Impact Investing Australia, One Earth Future Foundation and the United Nations Principles for Responsible Investment. Anna Bowden is a senior associate at Social Outcomes.